A forgotten pyramid. An ancient curse. A real-life archaeological adventure. Since the 1800s rumours have circulated about an ancient pyramid, built on an immense scale, hidden deep in the jungles of Samoa. Evidence perhaps of a great forgotten Pacific Empire. And yet there is no mention of the pyramid in the entire pantheon of Samoan myth. Samoan society is steeped in tradition but the local legends are silent on the subject of the pyramid. When one woman digging into the archives discovers ... Más informaciones an outlier in the dataset of Pacific history, it is the catalyst for an adventure that takes us on a treasure hunt deep into the jungles of Samoa. 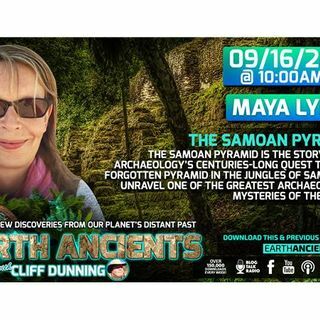 The Samoan Pyramid interweaves the spellbinding stories behind archaeology's centuries-long quest to find the forgotten pyramid with the author's own journey into the jungles of Samoa as she unravels one of the greatest archaeological mysteries of the Pacific. Maya Lynch was born on the west coast of Scotland. She has traveled the world working as a musician, designer, deckhand, DJ and club promoter. She studied computer programming in California and has worked for twenty years in the advertising industry. Working both as as a creative promoting big brands and as a strategist advising politicians and NGOs. She has spent the past five years exploring the South Pacific and is currently writing the "Journey to the Heart of a Lost Empire" series of books.